Dead trigger 2 is an awesome first-person shooter game that was released in 2013 and fully launched 2014. It's also a multi-platform game by Madfinger Games. 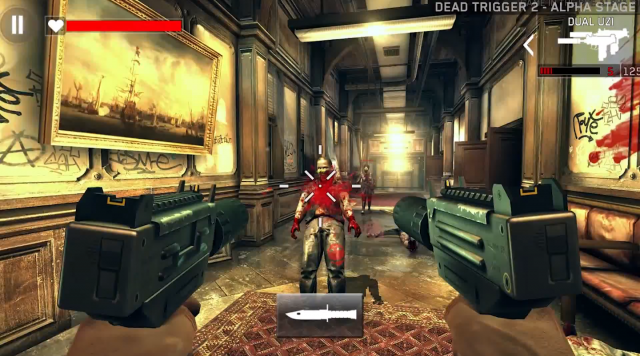 It's also a single player zombie-themed shooter and the continuation of the previous version (Dead trigger). 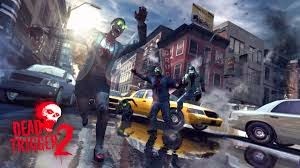 The story of the game is all about fighting zombies monsters in various cities. The version of the game that you would be downloading from the links I would drop below is a modded verion of the game with cheats loaded in it, that can enable you full your health, increase your cash and also your ammo and grenades. Step 1: First download the apk and data from the below links.. Step 2: Then on your android phone, move to settings/security/unknown Sources, then make sure the box is checked. Finally: You can now download and install the game successfully. I'd advice you to join our daily email readers to get updated. To join simply Click Here, and also Like our fb page here to get updated.